One in every 100 South African children dies before their second birthday because they lack access to health-care services, including life-saving vaccinations. Global Citizen partner Nedbank believes that every child has the right to develop and thrive. You can join us by taking action here to support the Global Goals. The smell of sewage hangs heavily in the air, following our group of journalists as we walk around the township of Langa in Cape Town. Most of the houses in the area are shacks or municipal apartments without any fencing. Residents still spend their days in a lack of space, without basic amenities, and sanitation. Amid the harrowing and glaring poverty in Langa, the stoic and resilient spirit of its inhabitants is undeniable. The sound of people laughing happily ricochets around the township, children chase each other around the narrow streets and people never walk past each other without exchanging pleasantries. It’s clear that people make up for what they lack in material comfort with what they have in each other: a strong sense of community. The sense of hope that outweighs socio-economic challenges is kept alive by initiatives with corporates and non-governmental organisations that work side-by side with the community to improve quality through a focus on the health and well-being of Langa’s children. These initiatives include the work done by Nedbank and the Nelson Mandela Children’s Fund (NMCF) to promote access to quality health care and early education. Nelson Mandela is revered for his philanthropy, even more so than one of the greatest statesmen of the 21st century. To the people of South Africa he was “Tata", the Xhosa word for father, before he was a president or a Nobel laureate. Other than encouraging Global Citizens to unite against poverty and inequality in the spirit of Ubuntu , Tata also called on nations to improve the lives of its children, placing great responsibility on leaders and private business in the belief that those with the power to shape the world for the better should do so. Nedbank partnered with the NMCF in 2005 to help realise foundation’s vision of giving every child in South Africa a chance to thrive regardless of race, gender, class, or religion. The Nedbank Children’s Affinity has invested more than R82 million in initiatives that support underprivileged, vulnerable and orphaned children in Southern Africa. This included access to quality health-care and vaccinations in particular. The Chief Executive Officer of Nedbank, Mike Brown, announced at the Global Citizen Festival: Mandela 100 that in addition to investments in the past, the company would invest R5 million a year for the next three years towards Nedbank’s #VaxTheNation programme. “At Nedbank we believe that no child should die simply because they lack access to vaccinations,” Brown said. 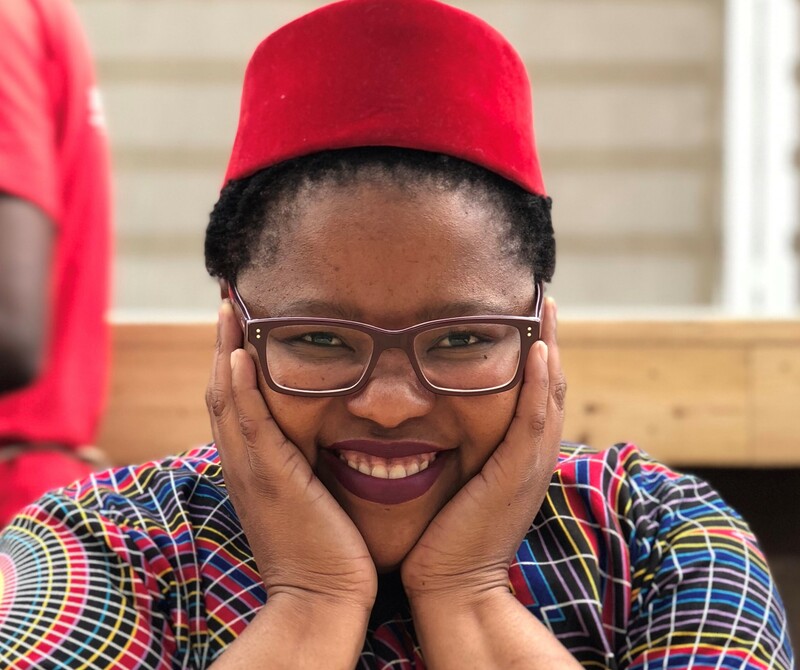 But as Shadi Nyokong, the manager of the Child Survival and Development programme at the NMCF, explains, ensuring that children live past the first 1,000 days of life requires more than access to vaccinations. South Africa has an infant mortality rate of 1 in 100 children. The Child Survival and Development programme works with on-the-ground partners like Early Learning Resource Unit to find out why children are dying. It’s active in the the provinces of Western Cape, North West, Northern Cape, Limpopo, and KwaZulu-Natal. We visit some of the 300 families in Langa who are registered with the Child Survival and Development programme to see how it works. Siziwe Kasa, 32, has a three-year-old daughter, Oyama, and another baby on the way. The Child Survival and Development programme offers antenatal support to help her take better care of herself throughout her pregnancy. This involves bimonthly home visits by health-care workers. This morning’s class is focused on looking after her emotional health and baby-proofing her house to keep Oyama safe. At some stage, Siziwe and the health-care worker stand up to sing for the unborn baby. The programme is open to all pregnant women, including girls, and families with children under the age of five. African culture values the wisdom of its elders, mostly may have good intentions, but whose opinions often lack benefit of research. Participants are given educational books written in Xhosa and other local languages. Mothers are encouraged to play with their children and to foster an emotional bond with them. They’re also given basic yet critical information on how to look after their new born children properly. Children between the ages of three and five years attend playgroups for three hours on Tuesdays and Thursday. South Africa is one of the most unequal countries in the world. Partnerships, such as those with Nedbank Children’s Affinity, have proven to be valuable in ensuring the dignity of the most vulnerable people in the country.